Lunchboxes mean many things to many people. 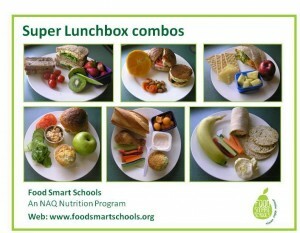 In the 21st century many foods are competing for a place in our lunchboxes. Lunchboxes containing healthy, whole foods consistent with the Australian Dietary Guidelines and Australian Guide to Healthy Eating will contribute to healthy growth and development; optimise ability to learn; and teach life long healthy eating patterns. For children, lunchboxes have many different and important roles. Encouraging children to sit, relax and take time to eat lunchbox foods demonstrates the important role food has in socialising with others. In avoiding discretionary foods in lunchboxes we are showing children the foods that need to be limited or reserved only for special occasions, and that limiting packaged food has an important role for protecting the environment. Examples of what is considered a discretionary food are outlined on the Eat for Health website.